Anastasia Somoza, known to her friends as Tas, began her advocacy work in 1993, when, at the age of 9, she had the opportunity to ask President Bill Clinton to help mainstream her twin sister Alba into the New York City public school system. Anastasia is now leading the inclusion revolution as a human rights defender, speaker, and consultant. On the first night of the 2016 Democratic National Convention, she gave a moving speech about her relationship with Hillary Clinton and Americans with disabilities. Following her appearance at the DNC, Anastasia traveled the country as a surrogate speaker for the Hillary for America campaign. As a passionate advocate for women’s rights, she has received both the Martha H. Ziegler Founders Award (2017) from the Federation for Children with Special Needs, and the Susan B. Anthony Award (2016) from the National Organization for Women. She recorded an interview for Lena Dunham's Women of the Hour podcast, and spoke at Laugh Your Pantsuit Off, a comedy fundraiser, hosted by Ana Gasteyer and Amy Poehler. Anastasia’s international advocacy has brought her to China, where she works to eliminate the abandonment of babies and children with disabilities. The goal of this work is to open a Parent Education and Resource Center that teaches parents in China about children with disabilities and how to care for, nurture, and love them. In March of 2017, she began working with the Center for American Progress to raise awareness about what is at stake for Americans with disabilities in the Trump era, with a focus on healthcare, Medicaid, and poverty alleviation. She ended the year on a high note by joining the company of Off-Broadway's Addy & Uno—off-Broadway's first family musical comedy to celebrate disability, friendship, and kindness— as the show's Consulting Producer. Tas is constantly defying people's perceptions and proving that anything is possible if you try. 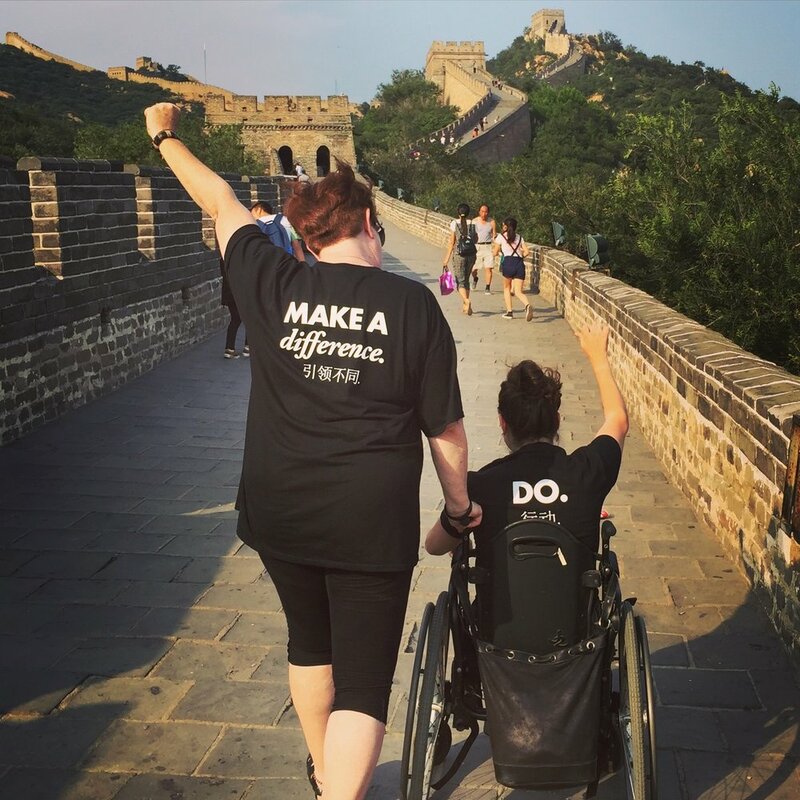 She was the first person with a disability to be awarded a scholarship through Hanban, and took on the Great Wall of China with the help of St. Cloud State University students.